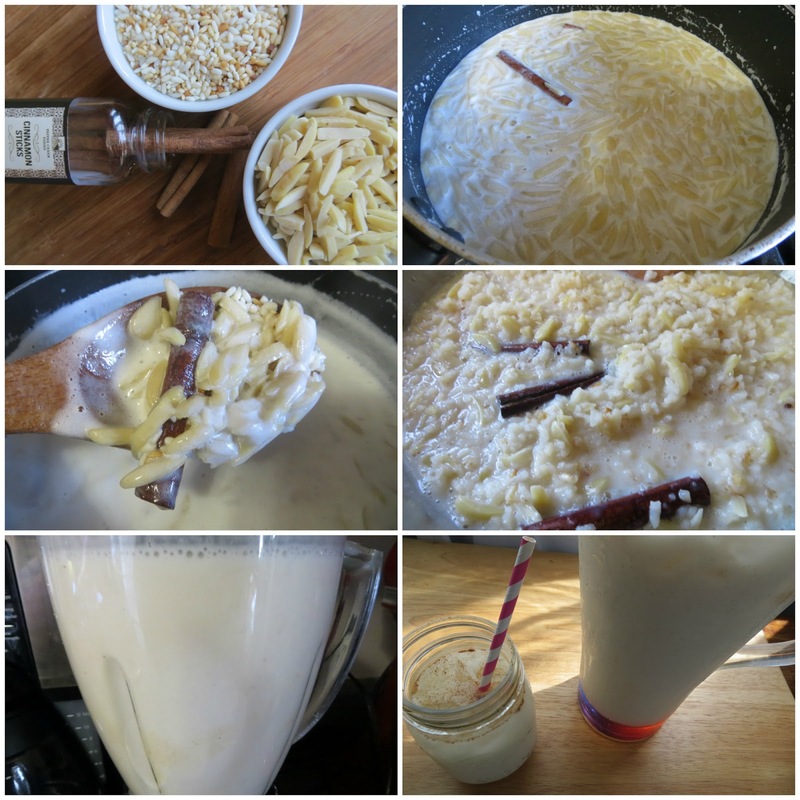 I’ve been browsing through different horchata recipes online and couldn’t decide which one to try but after watching Kelsey on the Cooking Channel, I kind of leaned more on her version because she cooks her ingredients before blending them together. Her preparation seems to be simpler than most recipes I’ve seen and that’s a plus because no one wants to be in the kitchen for long in this kind of weather. I started by toasting the rice in the pan. I have this thing about nutty and rich flavors and this process will give the rice more depth which will make the drink unique and more delicious. This is the only step which is not part of Kelsey's recipe. Working in batches if necessary, carefully transfer mixture to a blender and puree until smooth. Pour into a pitcher, stir in sugar and add enough water to make a total of 8 cups. Chill. Serve in tall glasses over ice. Garnish with a sprinkle of cinnamon. My puree is so thick that I added a cup of cold water to each batch and sugar to taste. I think it's better to have the sweetener and the rice mixture blended together before adding more water and ice cubes upon serving. 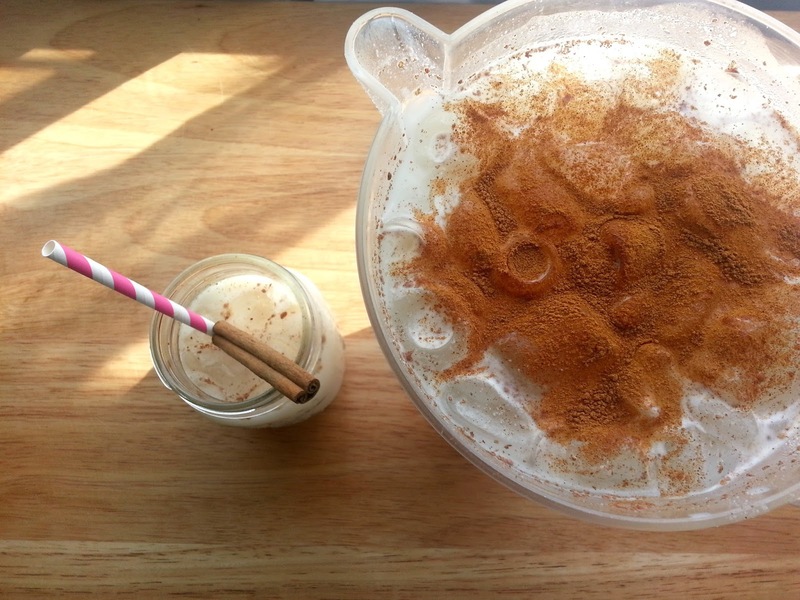 It's amazing how the name Horchata is shared by different countries but the flavor of each and the ways of preparation is unique to its country of origin. Other recipes use milk; some don't and even the rice preparation varies. This is the good stuff having both toasted rice and almonds. I'm sure my friend Lola will love this. I made plenty for the rest of the girls.